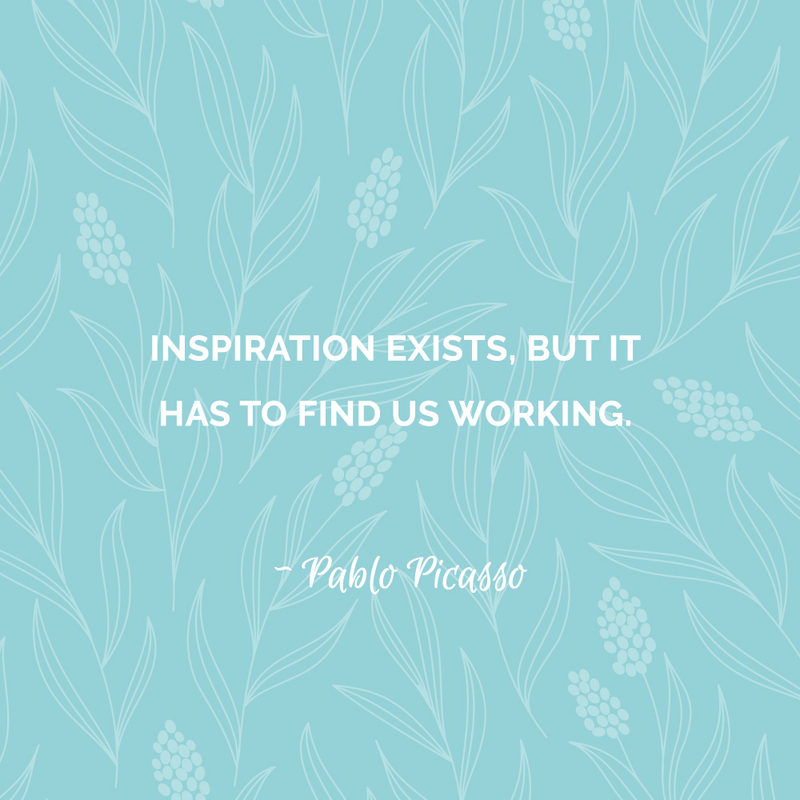 One winter Sunday or Tuesday night (really it doesn't matter) I've got strong desire to draw. It wasn't an ordinary desire to make sketches with simple graphite pencil, it was something more. I wanted color! Many colors. 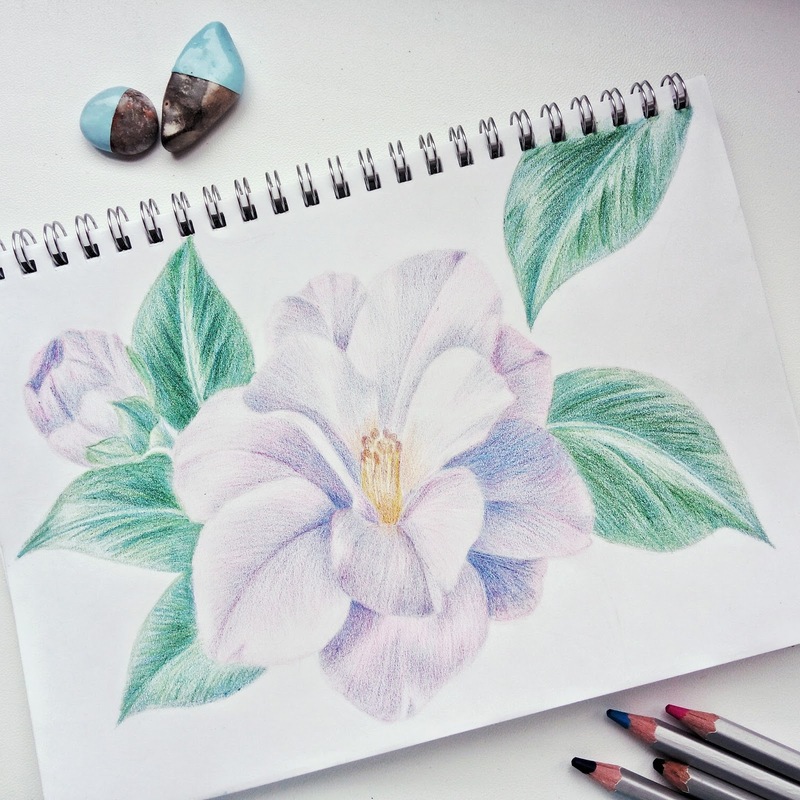 So, that evening, after some time of passionate hardworking, I've got two such nice camellia flower drawings. Yeyy! I was happy with myself. 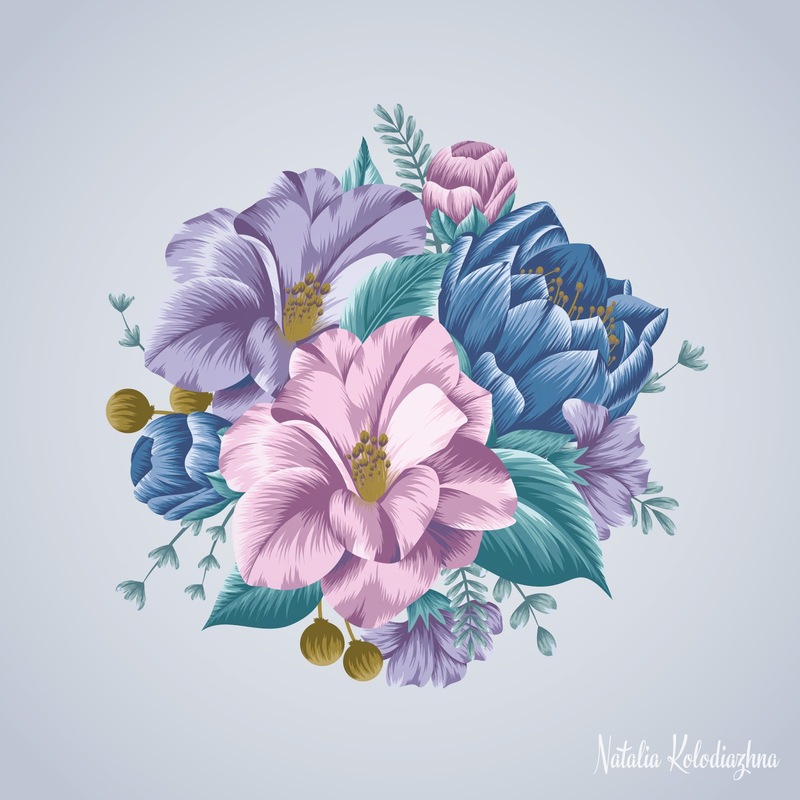 After a while I took the only way I know- started redraw flowers using my graphic tablet and vector program. Yes, I'm a fan of vector illustrations and aim to create clean art. So I've spent another couple of hours to redraw my flowers. And this time I was doubly happy with myself! Because I've got amazing art! Despite the fact that I spent twice as much time. What have this story taught me? 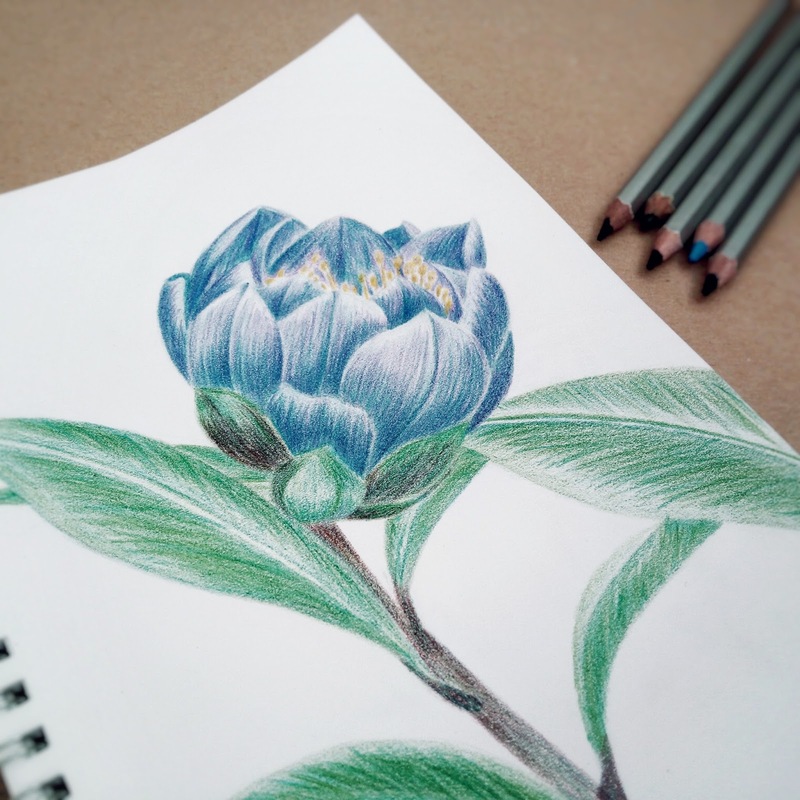 One simple truth - if you want your traced art has unique watercolor or pencil feeling, draw it in your sketchbook using all drawing supplies you have. And if you want it looks like clean vector, draw it in your favorite vector program and use simple hand-drawn sketch. 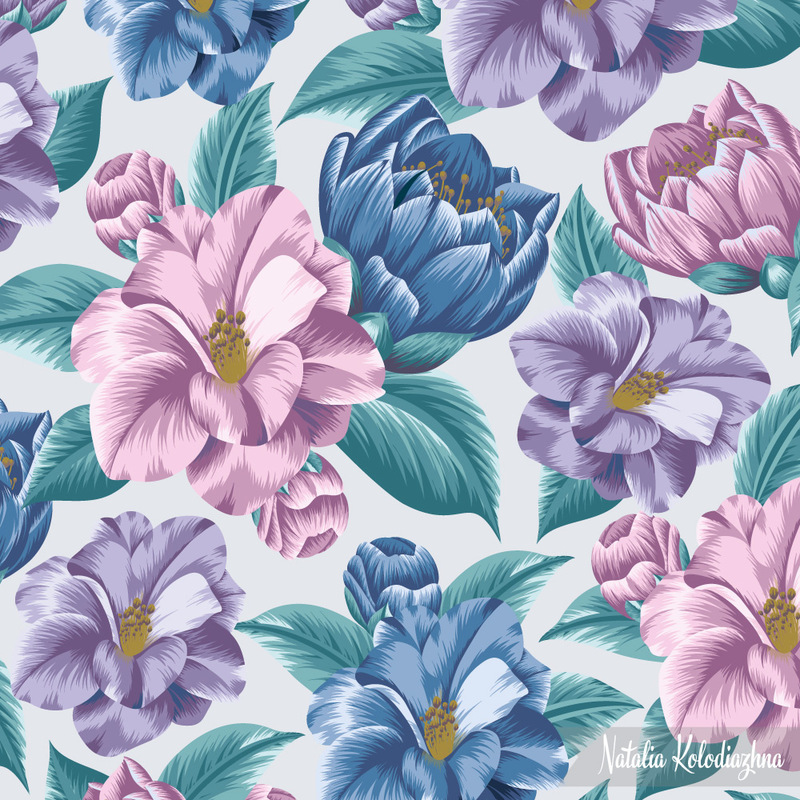 Meet my new floral pattern design! At the very beginning I wasn't sure about color choice, but now I really like the way how it looks and feels:-) What do you think? 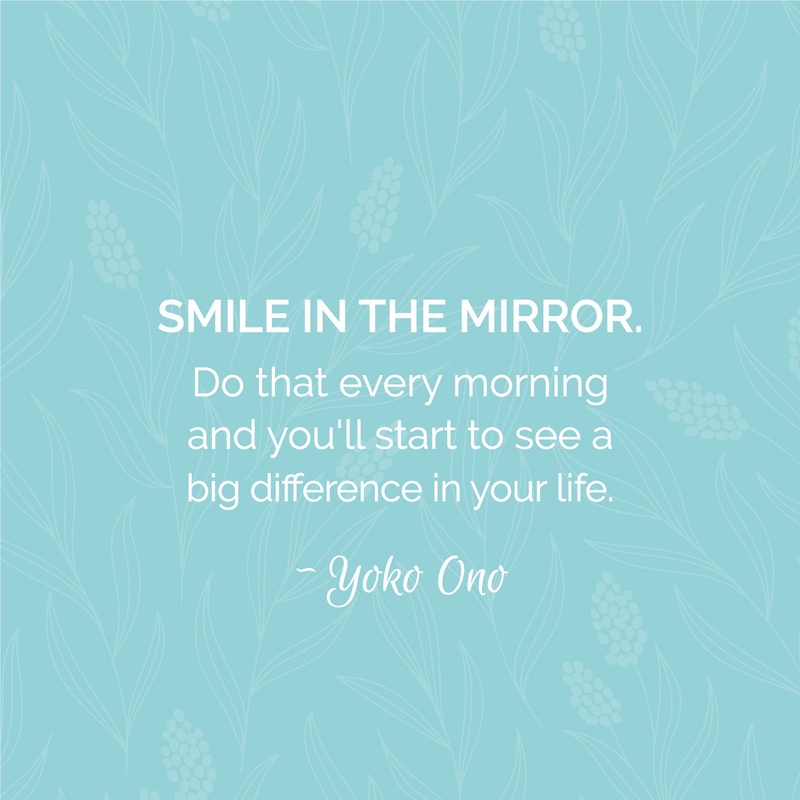 "Smile in the mirror. Do that every morning and you'll start to see a big difference in your life."